[New for 2013, discontinued] Nothing crazy tonight, just some fancy looking vanilla. 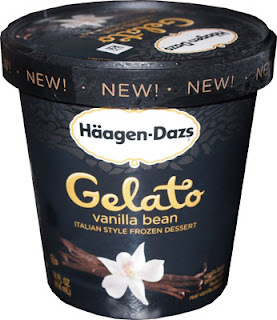 This is the new Haagen-Dazs vanilla bean gelato. 14oz of just the basics. Ok, I'm trying to be good and wait for this one to be ready (softer) but it's tough with vanilla bean flakes staring back at me. Mmmm, vanilla. Fairly sweet and really rocking the gelato smoothness. After a long day of nonsense and lasagna, this straight forward flavor is setting me up nicely for a little relaxing TV. I dont think it's perfect enough to knock Graeter's off as my favorite vanilla, but I'll certainly enjoy it. I don't really have a whole lot else to say. It's the quality of haagen-dazs with a more gelato-like texture. You know, you take small bites, let it melt on your tongue, repeat. It's not trying to be crazy in anyway, just consistent. I kind of wish I was just sitting on a nice enclosed porch on a pleasant sunny day right now, listening to the breeze. No cars, no trouble, no nothing. Just me and the breeze and my spoonful of patience. Hehhehehe, I like that, I should trademark that or something. I thought Talenti was your favorite vanilla gelato! I have to make a request. Can you do a "taste battle" between HDs 3(or is it 4?) vanilla offerings? they have vanilla and vanilla bean regular ice cream, this gelato, and possibly a vanilla froyo?..I may need to embark on this myself if you are unable/unwilling to. DOH! You should have chimed in a few moments sooner, my wife literally just finished this one off! This one's healthier for you, but I want to say that their regular offering has a stronger flavor. 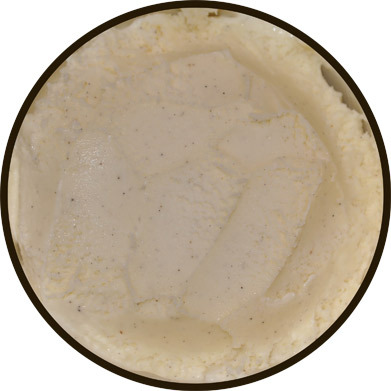 Ok this is the first time I have tryed the vanilla bean gelato Italian style frozen desert it doesn't taste as good as I thought it would I thought since it had a little bit more sugar it would have been even better then the one from costco its not bad either but I have have better vanilla bean ice cream from costco freezer section and you pay 9.99 for two big boxes. Bought some because it was BOGO at Publix. Not impressed. Icy texture & not much flavor at all. Talenti beats it hands down. Graeters has too many additives.